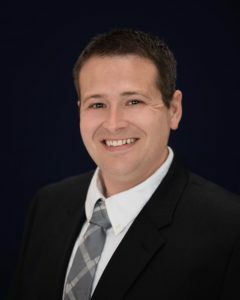 Dr. Christopher Anderson, (Dr. Chris), has been a resident of the Reedsburg Area his entire life. He attended Reedsburg Area High School where he was quite involved. Family and athletics are extremely important to Dr. Chris, which is why he has focused his education and career on the chiropractic care of families and athletes. Providing quality chiropractic care during early childhood can be a means of prevention of common injuries, illnesses, and chronic diseases as we age. On the other end of the spectrum, Dr. Chris also enjoys helping those in pain find relief and eventually wellness through regular chiropractic adjustments and lifestyle enhancements! He likes to treat the “whole person” in his work as a chiropractor, which means looking for the underlying causes of disease, discomfort, and pain, which usually arise from imbalances in the spinal column. Dr. Chris received his Bachelors of Science in Biology degree at the University of Wisconsin- Madison. While attending The University of Wisconsin-Madison, he served as the Public Relations Coordinator for Community Service for the Wisconsin Union Directorate. He also participated in the Student Ambassador and Student Tutoring Programs. Dr. Chris graduated from the Palmer College of Chiropractic in Davenport, Iowa. He has a Doctorate of Chiropractic degree with a concentration in sports and rehabilitation. He was a Clinical Teaching Assistant in the Academic Health Center while a student intern. Dr. Chris was also a finalist for the Clinical Excellence Award for his graduating class at commencement. The Clinical Excellence Award is presented to a graduating doctor who has demonstrated outstanding service to patients, the college, and the chiropractic profession. Candidates are nominated by Clinic Faculty and are interviewed by a board of Faculty Clinicians on quality of patient care, leadership potential, knowledge, skills, and service. At graduation, he was the recipient of many awards of service, and received certificates of merit in the departments of: Microbiology, Life Sciences, Technique, Diagnosis, Clinic, and Radiology. While a student at Palmer, Dr. Chris was one of the founding members of the Palmer Package Club, a club that was formed to enhance student’s clinical skills while at Palmer. The mission of Palmer Package Club is to provide a student-led, faculty-directed environment that fosters an enriching experience of all Palmer package adjusting techniques and prepares students to become Doctors of Chiropractic with highly refined clinical skills and a strong philosophical basis for health assessment, chiropractic management, and wellness promotion. Dr. Chris had the privilege to travel to Vietnam, China,Taiwan, Madagascar,Morocco, Brazil, Turks, Dominican Republic, Haiti, Belize, and Fiji, as part of the Clinic Abroad Program. While on these trips he supervised hundreds of resident physicians, and treated a multitude of underprivileged patients who could not afford standard health care. The Palmer Clinic Abroad Program goes to schools, orphanages, hospitals, and outreach clinics to care for those less fortunate. As chiropractic is available mostly to the affluent citizens of Vietnam, explaining the philosophy of chiropractic (through a translator) and seeing the positive results in patients that had never received chiropractic care, was a very gratifying and humbling experience. In November 2010, Dr. Chris joined his father, Dr. Bob, in practice as a chiropractic resident and transitioned to a licensed Chiropractor after graduation. In his never-ending quest for learning and to assist other chiropractors in providing better care for their patients, Dr. Chris completed a program to become a Certified Medical Compliance Specialist for Physicians. In addition to caring for his patients, he also educates and prepares offices for medical compliance. This improves the physician’s ability to provide quality healthcare to patients by functioning within a clinical environment that operationally supports the physician in delivering patient care. Dr. Chris is active in and always willing to serve the community that he grew up in. He serves as a Chair for the Rotary of Western Sauk County, is a committee representative for Boy Scout Troop #44 and Boy Scout Troop #247. He is also active in The Ambassador Program through the Reedsburg Chamber of Commerce, serves in the Reedsburg Young Professionals Group, Reedsburg Special Event Committee, Reedsburg Freedom Fest, The Revitalize Elroy Committee, Business Network International, and Reedsburg United Fund. Dr. Chris is a member of the Reedsburg Area Chamber of Commerce, Wisconsin Chiropractic Association, Wisconsin Chiropractic Society , and the American Chiropractic Association. Dr. Chris lives in Reedsburg with his dog Madison (named after the city of his beloved Badgers) and enjoys swimming, flying, scuba diving, sky diving, cooking, traveling and attending Badger football games. Dr. Chris serves as Clinic Director of ACC! Group Picture of Clinic Abroad in Brazil. Group Picture of Clinic Abroad Fiji Group. Scuba Diving in The Cousteau Reserve, Savusavu Fiji.